Grew Up... happily, in New Orleans with his parents and siblings. Sisko’s father owned a thriving Creole restaurant and the whole family bonded over cooking and food. Living... in the 24th century on the space station Deep Space Nine. Located just on the edge of Federation space, DS9 is basically a Wild West outpost complete with a thriving promenade of shops and a bar that might as well be a saloon. But once a wormhole to the unexplored Gamma Quadrant opens up, the station becomes a bustling intergalactic hub. Interests... drinking raktajino (Klingon coffee), cooking, baseball, and spending time with his son. Even though baseball is mostly forgotten in the 24th century, Sisko loves re-enacting old games on the station’s holosuites. More often than not, though, he’s busy cooking comfort food for his friends and family or slugging down raktajino to stay awake during his shifts. Relationship Status... widowed. Sisko’s beloved wife Jennifer was killed a few years ago and her death still weighs heavily on him: “I have never figured out how to live without her.” While he occasionally thinks about dating again, his most important relationship is with his 14-year-old son, Jake. Challenge... protecting the planet Bajor. Sisko has a lot on his plate, including commanding a whole space station and raising a son. But his most important duty is to look out for Bajor, which was only recently freed from a brutal occupation. Sisko is both the planet’s diplomatic protector and its spiritual leader – and the latter is a role he isn’t quite comfortable with yet. Personality... intimidating, funny, and not afraid to bend the rules. Most Starfleet commanders are expected to be pillars of morality, like the famous Captain Jean Luc Picard. But Sisko isn’t afraid to occasionally color outside the lines to get things done. As he tells one antagonist after punching him in the face, “I'm not Picard!" Though he’s often warm and funny – especially with his son – Sisko can be a little hotheaded when it comes to protecting his crew. 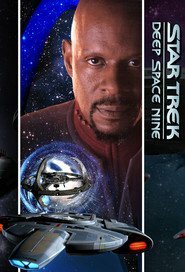 Benjamin Sisko's popularity ranking on CharacTour is #1628 out of 5,000+ characters. See our top-ranked characters and read their profiles.